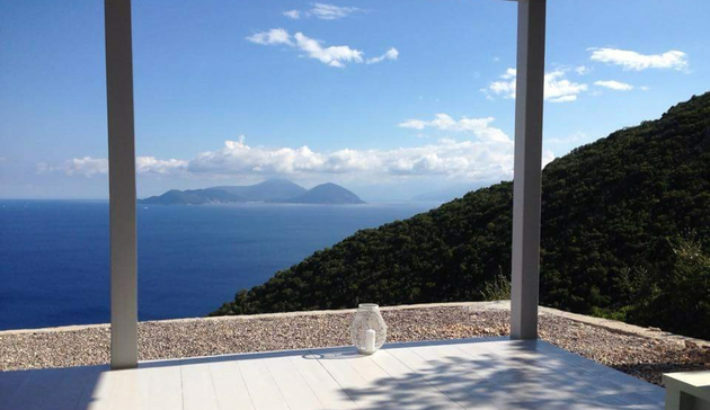 On our yoga and meditation retreat in Greece join our intimate group and experience limitless blue sky and sea on the verdant island of Lefkada. Enjoy daily hatha and yin yoga practice, meditation instruction and practice, sound healing, optional running and cleansing macrobiotics food that will inspire you into a whole new way of living. 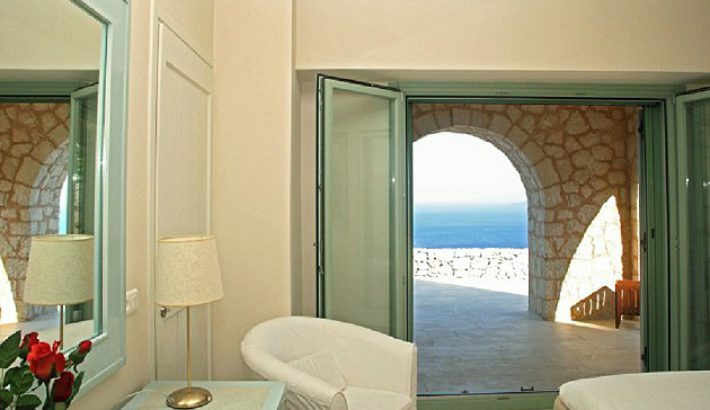 Your 7 night stay will be in one of four architecturally designed villas made of local sandstone. 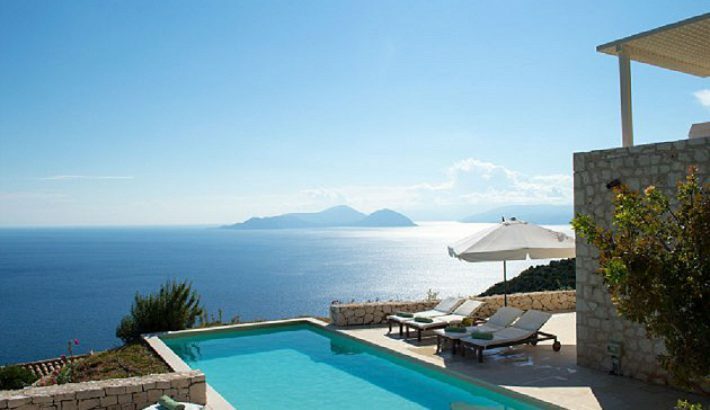 Each has a private pool, large deck, sun loungers and umbrellas. 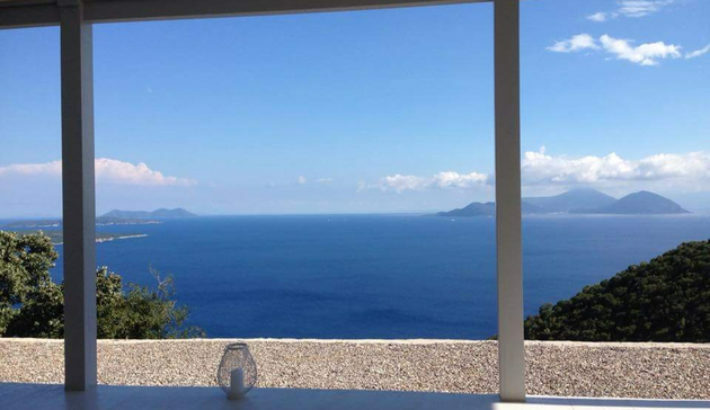 Nestled high on a hilltop surrounded by nothing but lush greenery and birdsong, you will at all times have vast views of Ionian Seas and majestic Greek islands. 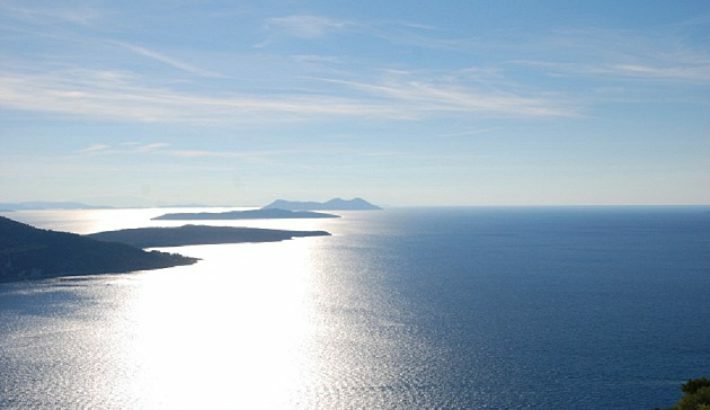 This venue is a jewel in the crown of yoga and meditation retreats in Europe. 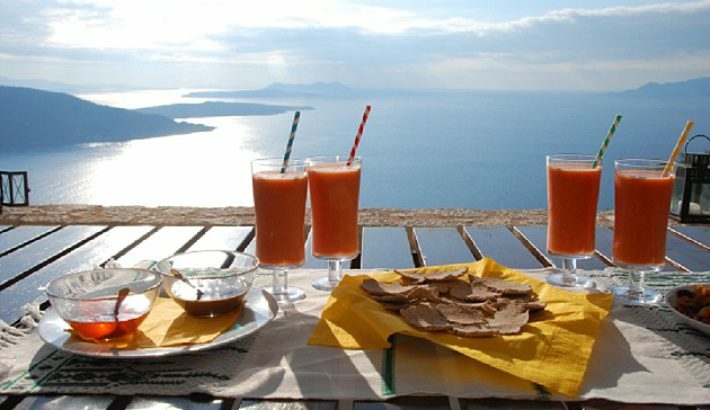 This unique meditation and yoga holiday in Greece offers stylishly decorated, spacious, double storey villas for your stay. 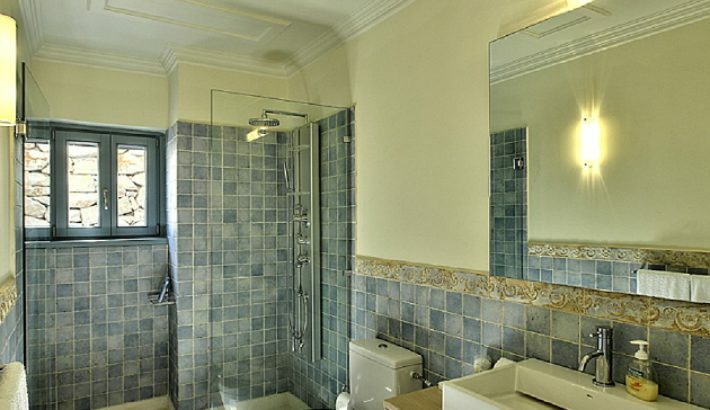 Each has three ensuite luxury rooms with jacuzzi baths or walk-in showers. 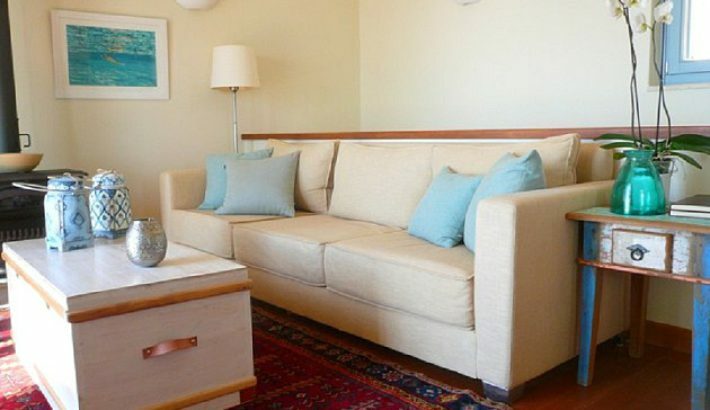 Enjoy an open plan living room and fully equipped kitchen. 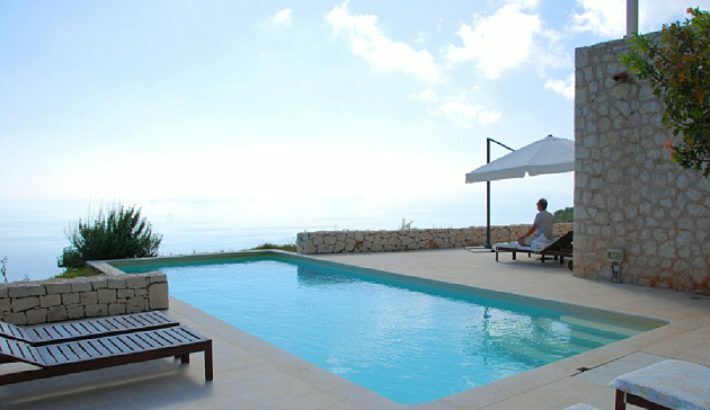 There are full length terraces, endless breathtaking sea views, and private pools with loungers, and outdoor showers. 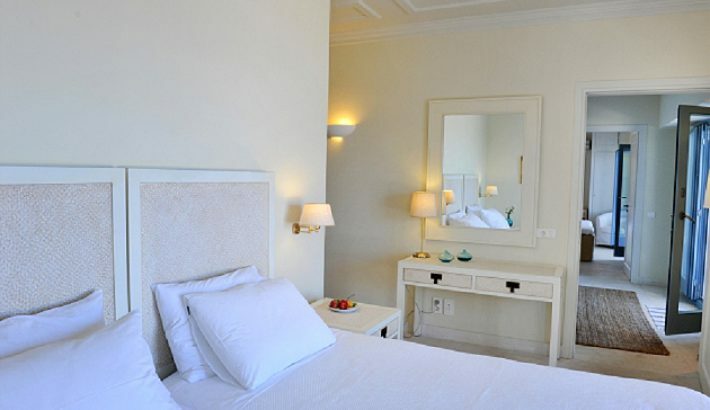 All villas are air-conditioned. 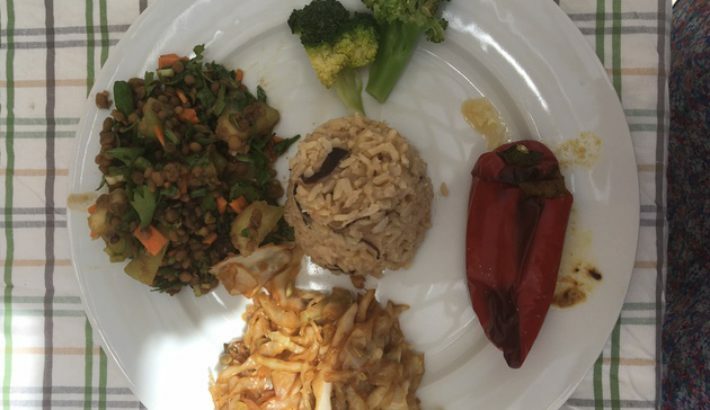 Our chef Kostas Tzallilas will be presenting a range of delicious, healthy, organic macrobiotic meals. The essence of Macrobiotic diet is balance and adaptation to the environment and to the needs of each individual. 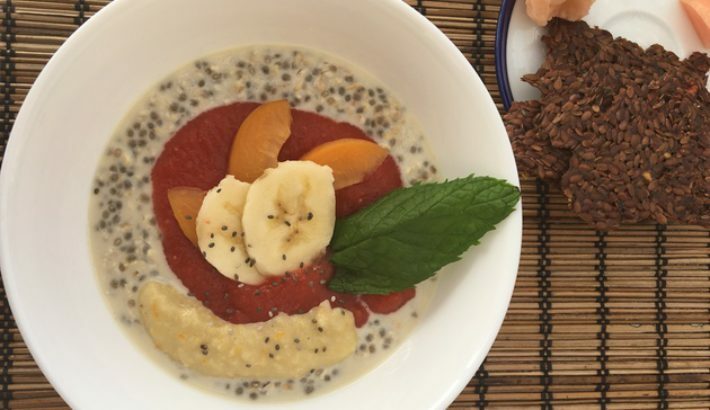 During the retreat the nutrition is designed in such a way to maximize the cleansing, strengthening and centering effects of the yoga practice and the meditation. 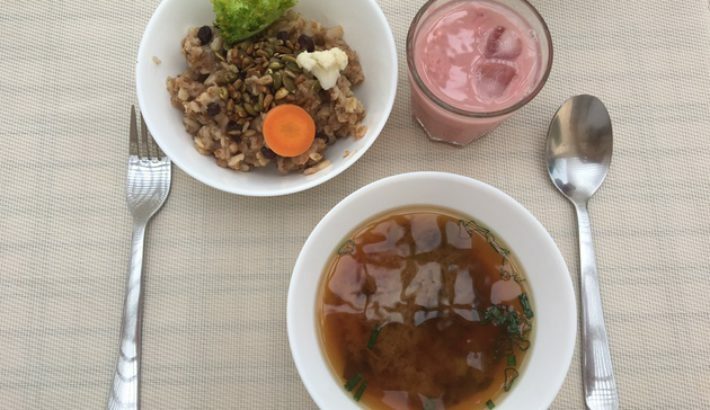 Each meal is prepared with a variety of ingredients such as grains, vegetables, beans and bean products, seaweed, fermented products, nuts, seeds and fruits; mostly organic. Meals are 100% vegan and sugar free. Your day includes mindfulness meditation sessions guided by Brian Hilliard. 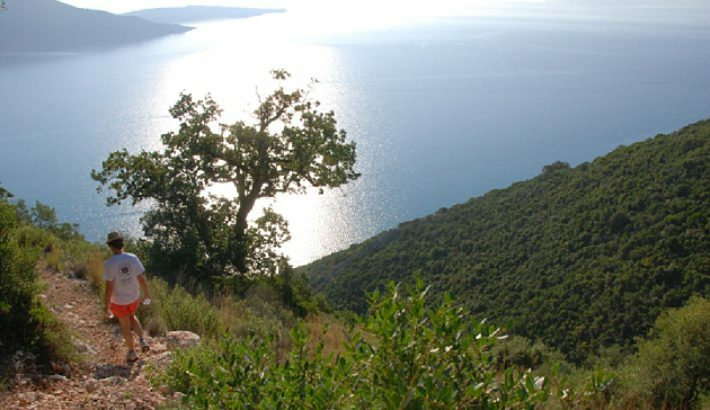 You will learn the techniques and practice of sitting and walking meditation in a beautiful meditation shala with incredible views of Ionian Seas and majestic Greek Islands. There will be talks, discussions, private interviews on request, and some silence for inner reflection. 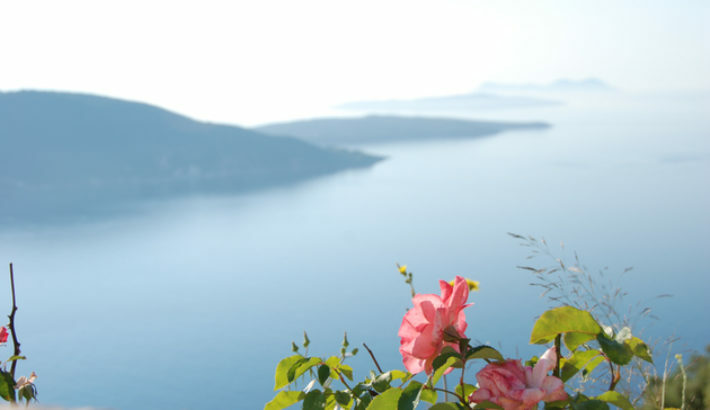 This yoga and meditation retreat in Greece is ideal for learning new tools. See The Mindfulness Journal for more on mindfulness meditation. 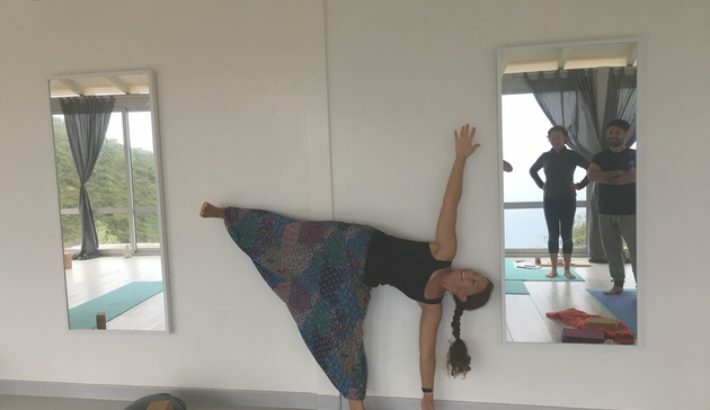 Shannon's unique approach to yoga is closely aligned with meditation practice. Meticulous attention to correct yoga postures combines with the view of meditation. This is an approach for total health of mind and body. 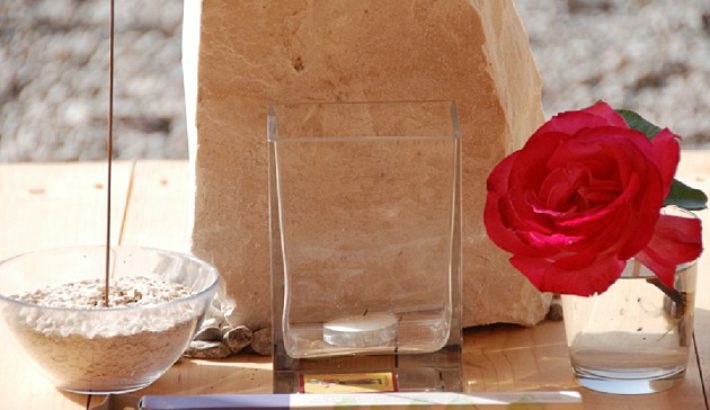 The extraordinary beautiful sounds of crystal bowls set the stage for sound healing and well-being. The benefits of a sound journey with crystal bowls are numerous, including: stress and pain reduction, deep relaxation, self awareness and creativity. Read more about sound healing here. 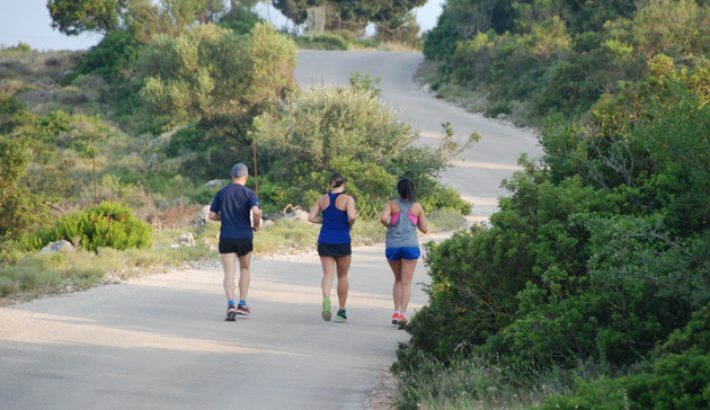 Our retreats include optional running training. Running with meditation is an introduction to meditation in movement. Reach the zone easily with practical instructions for combining mindfulness and movement. See our post: Running with Meditation. Take some time to swim, lounge, nap or read at your private pool deck, or take a 45 minute hike to our private pebbled beach with crystal clear waters. 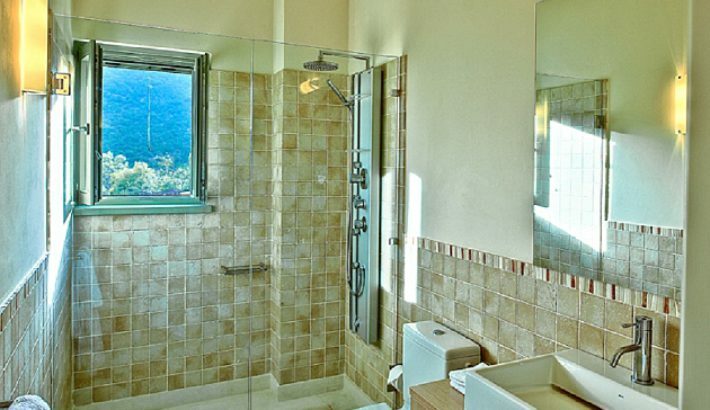 You may even spot dolphins and seals in this protected natural habitat. A 15 minute drive brings you to a world class beach of breathtaking beauty. 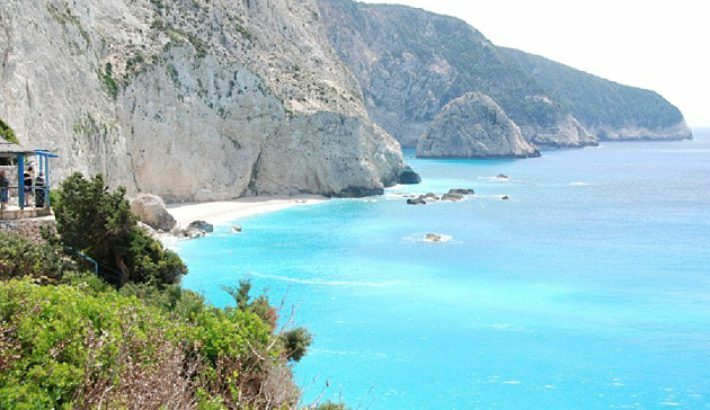 Enjoy Porto Katsiki where majestic sheer cliffs meet sand, pebbles and turquoise waters. 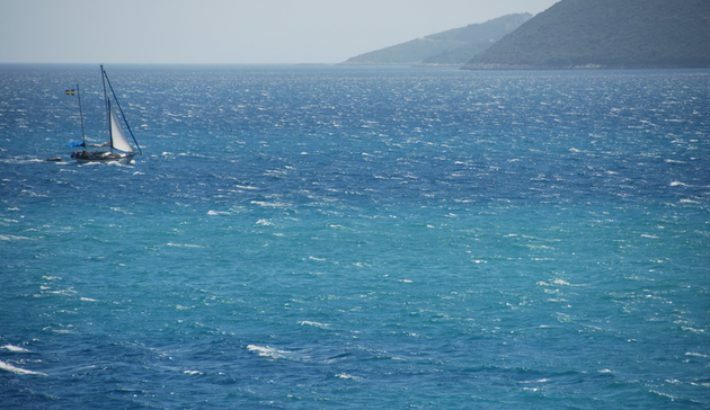 Our nearest Greek port village, Vassiliki, is famous for water sports: diving, snorkeling, windsurfing and sailing. 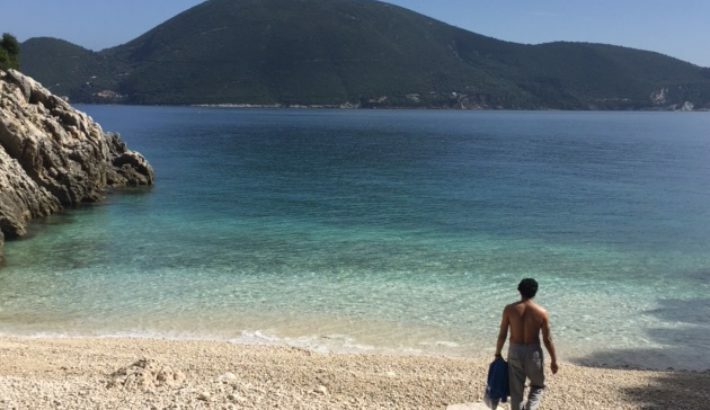 Situated just 10 minutes by car, it sits on beautiful Vassiliki Bay. Explore little cobbled streets with charming boutiques and port side cafes and restaurants. The picturesque beach Agiofili is in close distance to the village. Awake to the sunrise over crystal waters. 6:30 - 7:15 For runners (optional). Start with a morning run with Brian enjoying gorgeous sea views. 11:00 Enjoy a fresh, balanced brunch with our retreat companions on the pool deck. 12:00 - 17:00 The afternoons are at your leisure. Rest, read, write or nap at your private pool. Enjoy a wonderful massage by Karen. 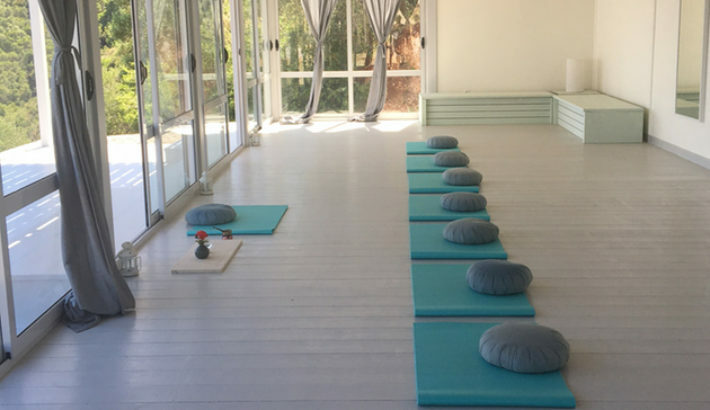 You can meet with Brian or Shannon for private meditation instruction. 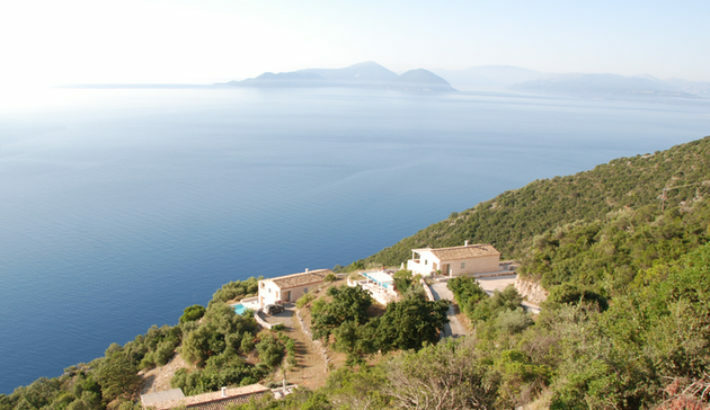 Maybe you’d like to hike down to the private beach and enjoy a skinny dip, take walks along the country road on this beautiful hilltop, or languish on one of the world famous beaches nearby? 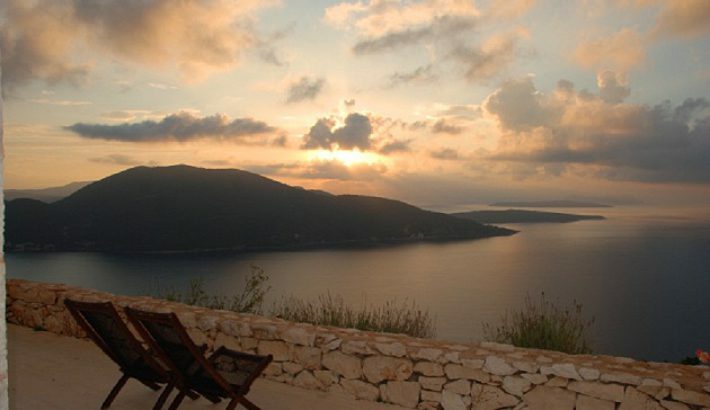 19:30 We gently close our day with a delicious sunset dinner on one of the decks or terraces with exquisite views. Some evenings we will have movies or special events after dinner. It's a time to relax, deepen our understanding of meditation and yoga, and explore the philosophy and practice of Macrobiotics. Contact us for recommended flights for group transfers. Let us design a retreat for you, your family, friends, or your team. It's a great way to tailor make a special bonding time relevant to your group. "I will never forget my time with Shannon and learning from the true expert Brian. By the end of the retreat I felt fully recharged, lighter in my emotions and ready to face the world with boundless confidence and strength." I really liked the structure of the week. I felt totally safe to hand over all responsibility to you. I loved the gentle development of the disciplines of mindfulness, running and yoga. I enjoyed the breaks in the afternoon.